In this article, we examine the relationship between partisan-motivated reasoning and uncertainty-inducing official information cues with respect to conspiracy beliefs. 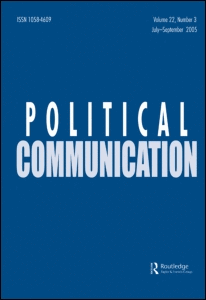 We find that while partisanship matters when it comes to conspiracy beliefs, the uncertainty-inducing and countervailing nature of official cues can further inflame conspiracy beliefs when it is not in the political interest of individuals to subscribe to a given conspiracy theory. Contrary to expectations, we find that cueing Democratic self-identifiers with different types of official responses to conspiracy theories that implicate Republicans has no effect. However, such informational cues do significantly increase conspiracy beliefs among Republicans, even when a Republican is implicated in the conspiracy theory. Although partisan-motivated reasoning has a baseline effect on conspiracy beliefs, the extent to which these beliefs can further be manipulated appears asymmetric across party lines. Simply put, Republicans appear to be more susceptible to conspiratorial cues than Democrats.